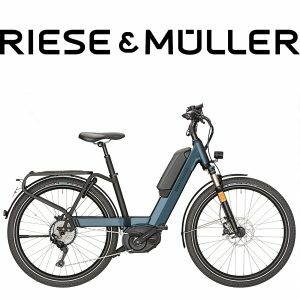 Bryan sat on his brand new Riese & Muller E-bike. The award winning Nevo is a dynamic looking step through Bosch powered bike with the battery unusually located on the up-tube rather than the rear rack.The Nuvinci hub gear offers seamless gear changing and combined with the Gates carbon belt drive means the bike is almost maintenance free. Bryan has already ridden 20 miles around Looe and Polperro and couldn’t find a hill to beat him ! To see and try a wide range of high quality E-bikes visit Fusion Cycles.